Nessebar, previously known as Mesembria and before that as Menebria, is an ancient city on the Black Sea coast of Bulgaria.Originally a Thracian settlement known as Menebria, the town became a Greek colony at the beginning of the 6th century BC, and was an important trading centre from then on. Remains from the Hellenistic period include the acropolis, a temple of Apollo, and an agora. 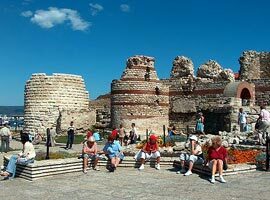 A wall which formed part of the Greek fortifications can still be seen on the north side of the peninsula. 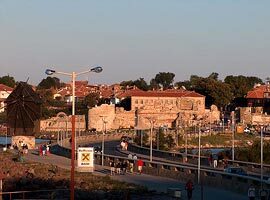 Nessebar has on several occasions found itself on the frontier of a threatened empire, and as such it is a town with a rich history. 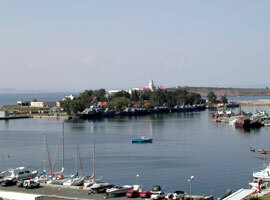 The ancient part of the town is situated on a peninsula connected to the mainland by a man-made isthmus, and it bears evidence of occupation by a variety of different civilisations over the course of its existence. 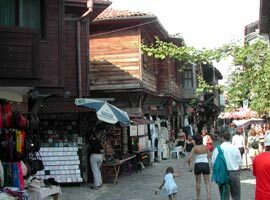 Its abundance of historic buildings prompted UNESCO to inscribe Nesebar on its list of World Heritage Sights in 1983. 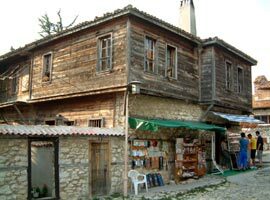 The capture of the town by the Turks from the Byzantine Empire in 1453 marked the start of its decline, but its architectural heritage remained and was enriched in the 19th century by the construction of wooden houses in the Eastern Rumelian Greek style typical for the Bulgarian black Sea Coast during this period. 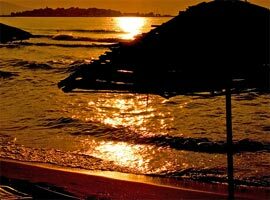 In 1956 the town was proclaimed an architectural and archeological reserve. 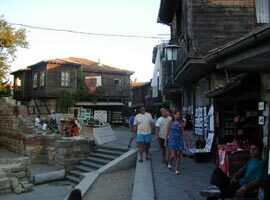 The remnants of an antique fortified wall with a gate dating from III-IV century, the churches from V-VI century and the ones dating from the medieval period (X-XIV century), which are fine works of the medieval Bulgarian and Byzantine architecture, the 60 houses of the revival period, give the town unique appearance and atmosphere. 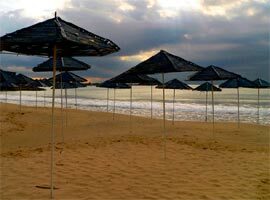 In modern times, Nessebar is a major tourist attraction in what has become a popular area with several large resorts—the largest, Sunny Beach, is situated immediately to the north of Nessebar. 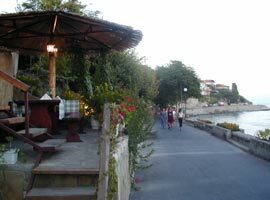 The area of Nessebar is about 25 ha. 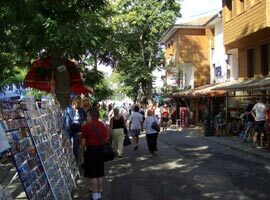 It is linked with the new part of the town by a narrow 300 meters long strip. 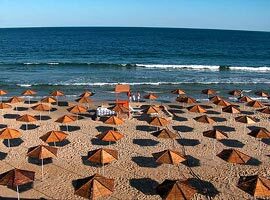 The beach, based in the new part, is 4 km long. 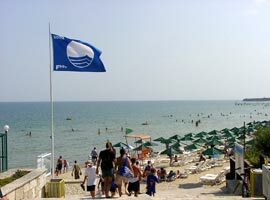 The beach, based in the new part, is 4 km long. 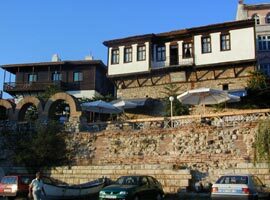 Nessebar features marvelous climate all-year without any polluters and wonderful combination of sea and mountain atmosphere. 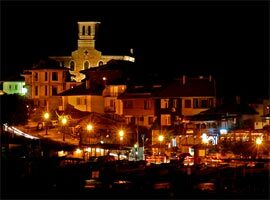 The town is a real museum showing the building traditions in our lands with over 20 places of interest. 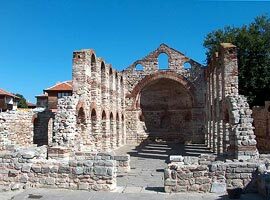 There have been preserved valuable monuments from all ages of its thousand-year old existence - old fortress walls from the Roman Middle age, Byzantine and old Bulgarian churches, ancient houses from the 18th and 19th century. 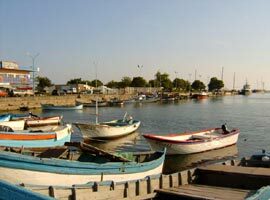 Nowadays Nessebar is old and young, the pearl of the South Black Sea coastal regions, a unique and picturesque heavenly place generously endowed by the nature and by the history.Visit the best of the best and be sure that the touch with this ancient town will be the most pleasant and unforgettable experience!